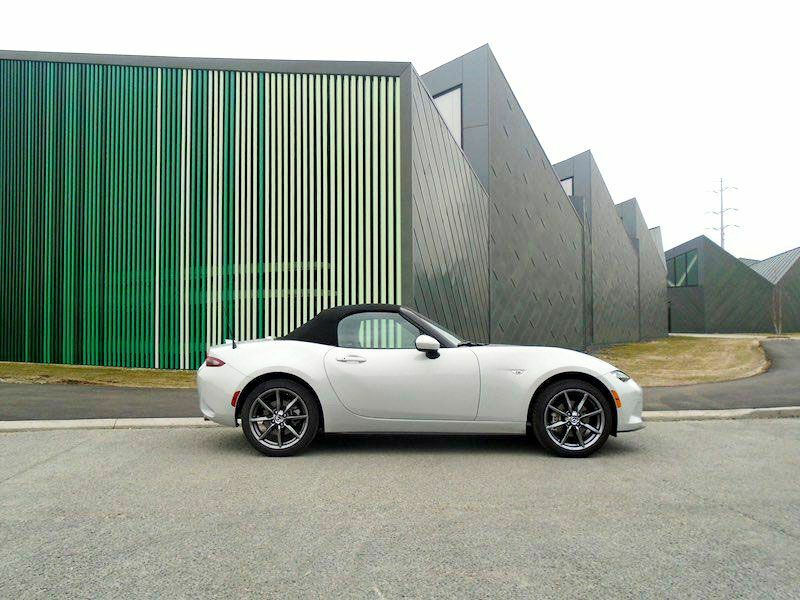 The Miata was fully redesigned for the 2016 model year, and this fourth-generation car represents a more stylish and sophisticated approach with the same playful attitude. The 2017 Miata carries over basically the same. The all-new Miata RF (Retractable Fastback) will soon be joining the 2017 Miata lineup. We caught a glimpse of the new hardtop Miata coupe at the Chicago Auto Show this February, and we’ll have a closer look, with more information, in early March. All trim levels of the 2017 Miata come with the same engine, a 2.0-liter 4-cylinder. The 2017 Mazda Miata, in base Sport trim, starts at $24,915. The next step up, the Club, starts at $28,800. 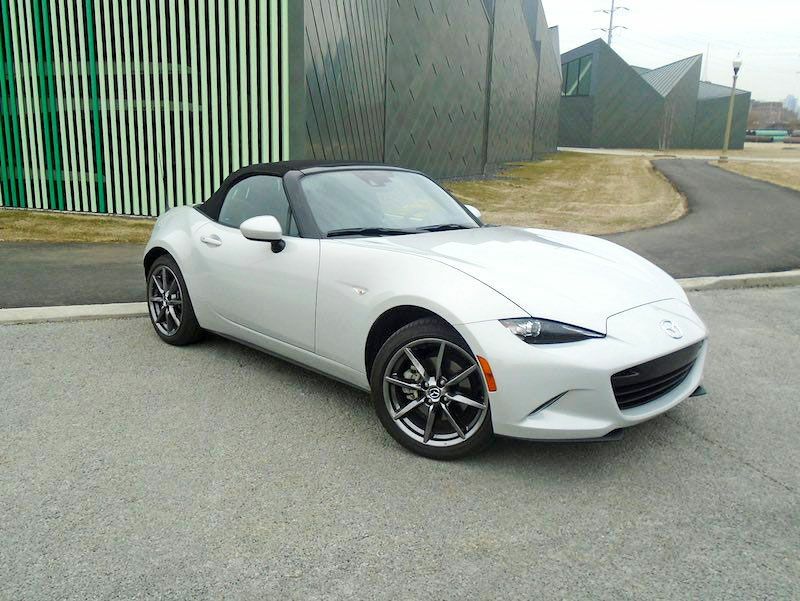 It’s worth noting here that shopping for a Miata has recently gotten a little more interesting thanks to the introduction of the Fiat 124 Spider in 2016. 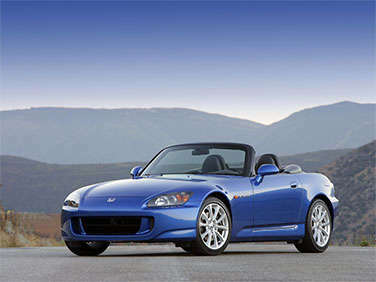 It’s essentially a Miata, although it features Italian design, a slightly more powerful engine, and different options. Though the two cars have slightly different driving dynamics and are aimed at different markets (according to both automakers, anyway), it’s worth comparing options and prices. Every 2017 Miata comes powered by a 2.0-liter 4-cylinder engine that makes 155 horsepower and 148 lb.-ft. of torque, which is actually plenty considering the car’s small size and light weight. 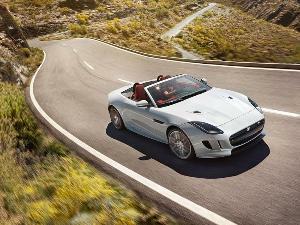 Power is sent to the rear wheels through a 6-speed manual or 6-speed automatic transmission. The manual is smooth, precise, and an absolute delight to shift. 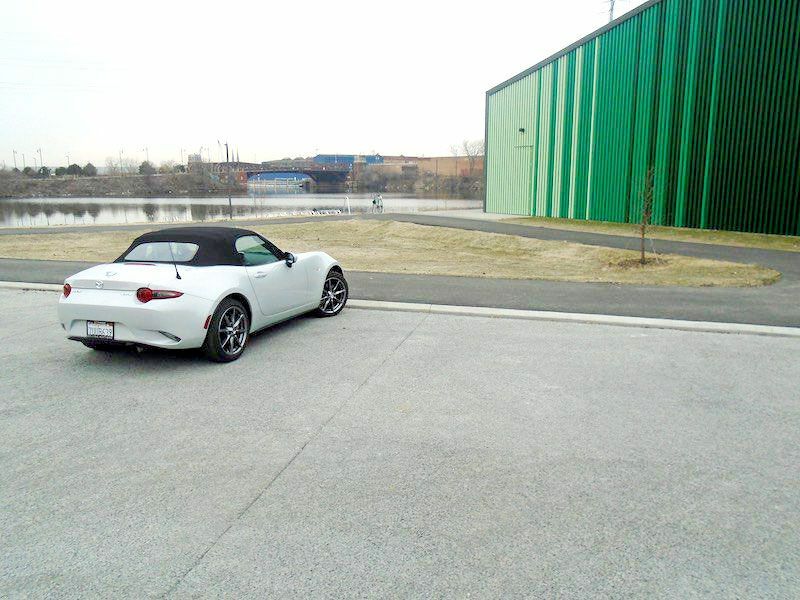 Acceleration is a key factor in the Miata’s reputation, and Autobytel’s test car certainly didn’t disappoint. 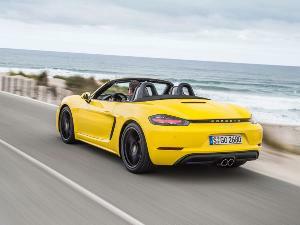 The engine responds very well to driver input, with quick torque delivery, and despite the relatively low (for a sports car) horsepower specs, there’s no need to put the pedal to the floor to get the Miata moving. 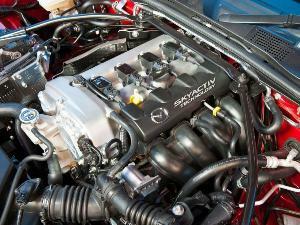 The Miata’s fuel economy ratings are quite good for a rear-wheel-drive sports car. 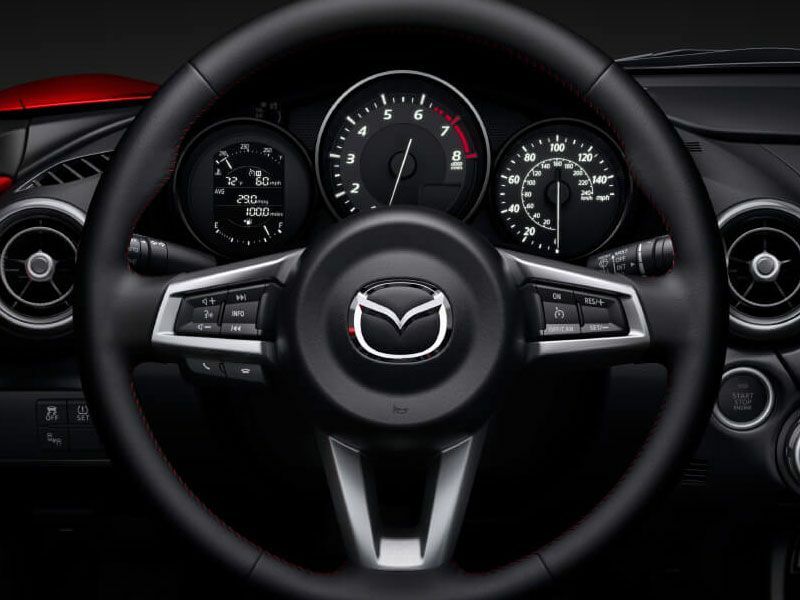 With the manual transmission, the Miata is rated by the EPA at 27 mpg city/34 mpg highway. With the automatic transmission, the Miata is rated at 27/36. Fuel economy during this Autobytel test was 31.2 mpg. We’re two years into the Miata’s fourth generation, so the exterior design isn’t exactly new, but it’s still admirable, particularly the way Mazda’s designers keep things visually interesting without departing too radically from the Miata’s previous styling. Overall, the design is successful. The Miata is a small car—it felt almost like a toy when I was standing next to it—but its eye-catching shape and stance still command plenty of attention. Autobytel’s test car was a color called Ceramic Metallic, a slightly cool-toned cream color that looked great against the blacktop. 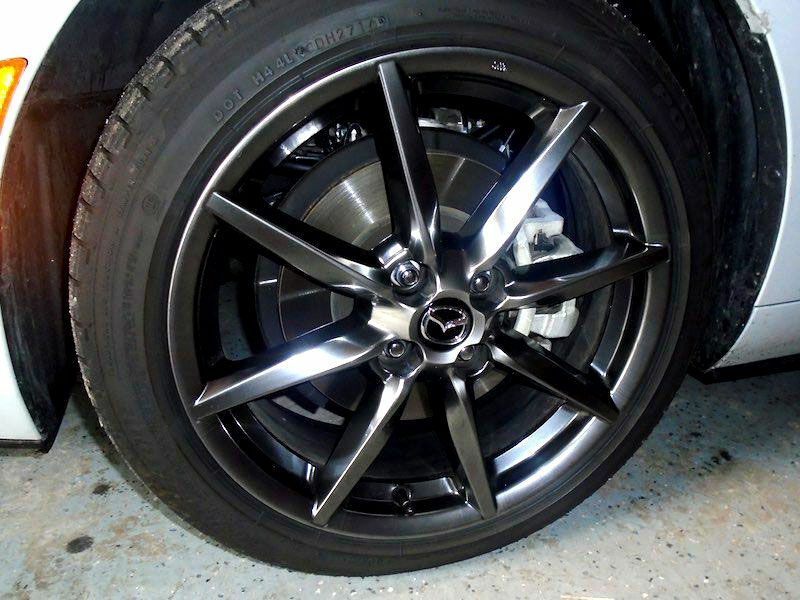 Grand Touring models ride on 17-inch alloy wheels finished in an attractive, nicely contrasting dark silver color. The Miata Grand Touring also features automatic headlights, rain-sensing windshield wipers, and LED daytime running lights. Though the base Miata comes with cloth seats, the Grand Touring came finished in black leather with a set of very toasty seat heaters. The cockpit is thoughtfully laid out and really easy to navigate, with all information at hand or easy to find, though the view out is compromised by the low seating position. All Miatas come with a manual folding cloth top, which insulates from most street noise but gets loud on the highway. At 4.59 cubic feet, the Miata’s trunk is just large enough for a few grocery bags. Consider also that almost anything that would usually be stored in a car’s cabin probably needs to be stowed back there. The Miata does have a “glovebox”—a vertically mounted cubby between the seats, behind the driver’s right shoulder—but it was nearly at capacity with the massive driver’s manual and a pair of what I believe were ear muff/protectors (for top-down driving, perhaps). The shallow armrest held the key and my garage door remote, while my phone slid around the base of the center stack and my iPod got tangled up with the shifter. That’s it. It’s a tight car. 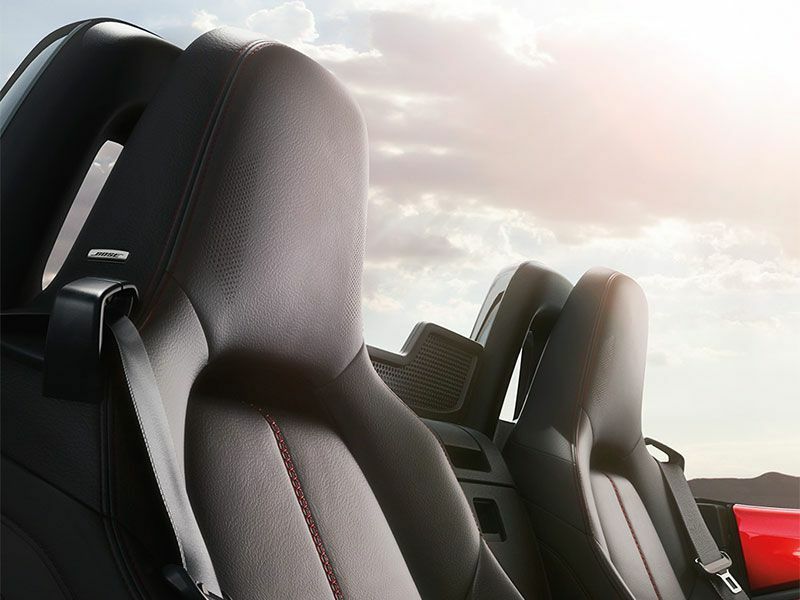 The 2017 Miata Grand Touring has a 9-speaker Bose audio system that includes speakers in the headrests. 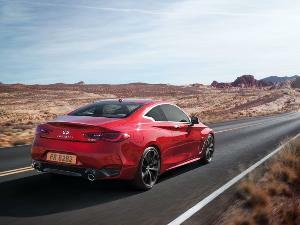 The car’s cloth top gets noisy at highway speeds, but the audio system helps alleviate that minor annoyance. 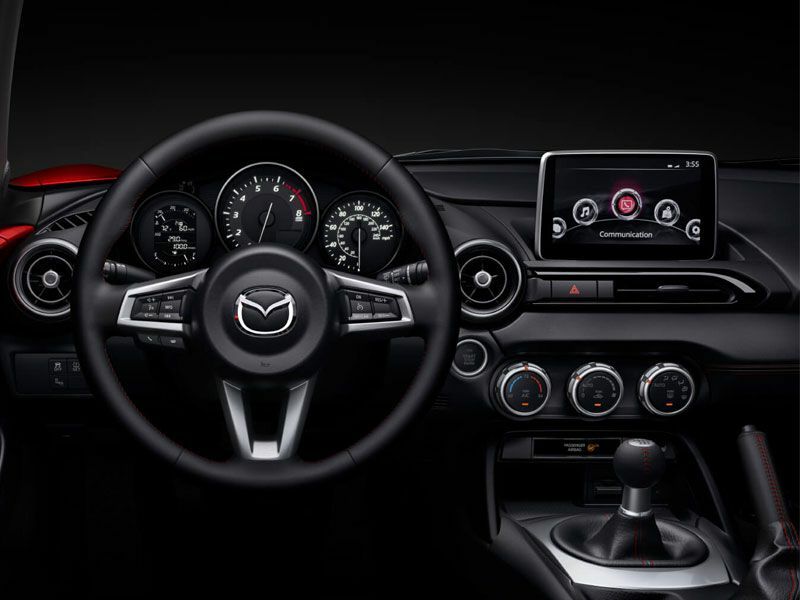 It’s controlled through the Mazda Connect infotainment system, which can be controlled via the 7-inch touchscreen when the shifter is in neutral, with the center control knob, or with steering wheel-mounted buttons. The system includes navigation, Bluetooth wireless integration, Pandora internet radio, an aux-in jack, and two USB ports. Overall, the system was easy and pleasant to use. I’m always slightly annoyed by an infotainment setup that disables the touchscreen when the car’s in gear, mainly because my passenger tends to handle navigation for me. But in this case, the steering wheel buttons helped. 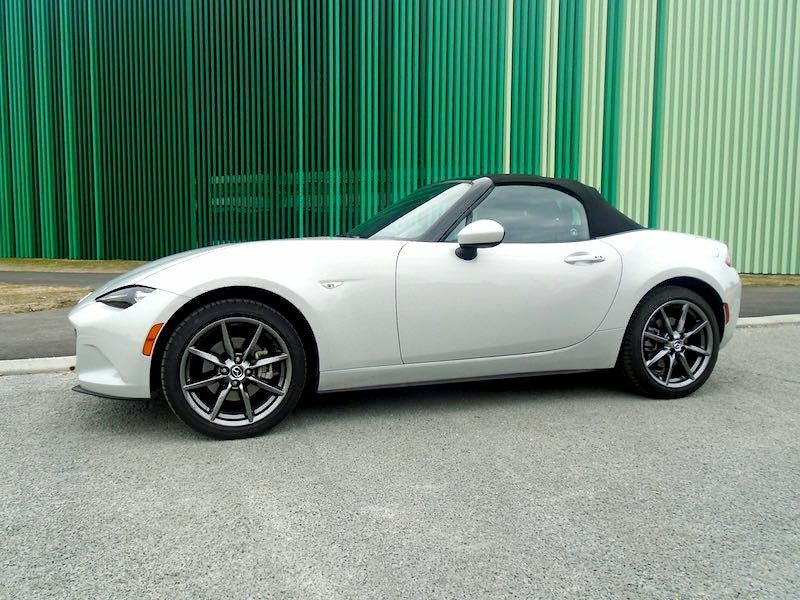 The 2017 Miata is light on options, across the entire range. Though amenities improve as you move up through the trim levels, there are few standalone add-ons. The Club and Grand Touring models are offered with performance upgrades such as Brembo brakes, BBS 17-inch wheels, a limited-slip differential, and Bilstein suspension. There’s also an interior appearance package that includes a red engine oil cap, stainless steel door sills, and an alloy pedal kit. Autobytel’s Grand Touring test car was fully loaded except for the performance packages. It included the infotainment system, described on the previous page, black leather upholstery, a leather-trimmed steering wheel and shifter, heated seats, advanced keyless entry, a power trunk, auto-dimming mirrors, the Homelink automatic garage door system, and cruise control. 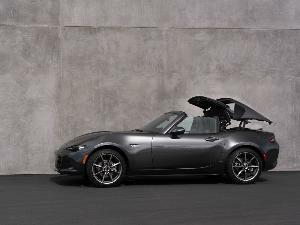 The 2017 Miata has not been crash tested by the Insurance Institute for Highway Safety or the National Highway Traffic Safety Administration, which is typical for a sports car, and convertibles in particular. The Grand Touring trim level includes blind-spot monitoring with rear cross-traffic alert, lane-departure warning, and adaptive headlights. All worked well, though the lane-departure warning is more sensitive than other systems I’ve tested. It’s worth noting that these advanced safety features are only available with the top-of-the-line trim level. 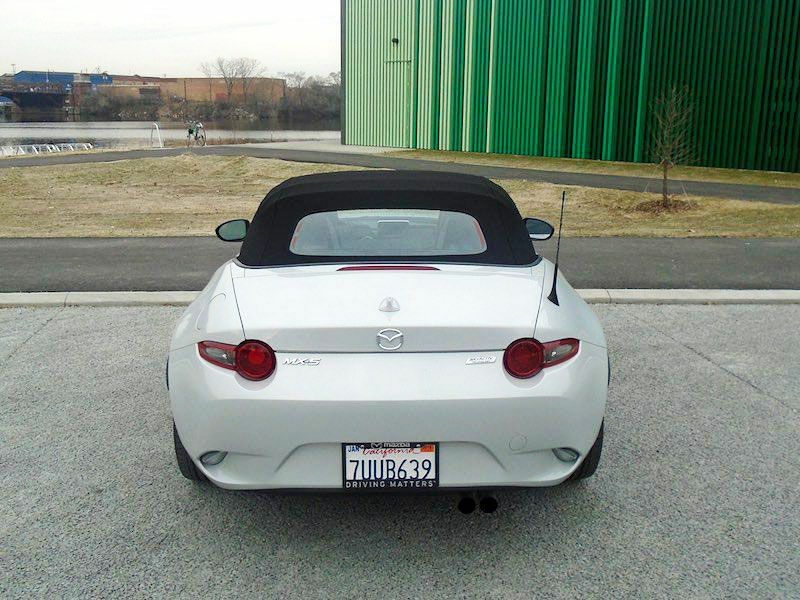 Consider also that the Miata does not offer a rearview camera, although it’s an option on the related Fiat 124 Spider. The Miata’s infotainment system merits further discussion. First, I was highly impressed that the system immediately identified my ancient iPod (a third-generation nano, in case you’re wondering, complete with the old 30-pin USB connector and utterly lacking in wireless connectivity options). The infotainment system accesses the Gracenote music database, which means, in short, the Miata’s display provided me with more information about the songs on my iPod than what is actually stored on the iPod. Also, when the iPod was connected, the system defaulted to it, making it simple to scroll through the playlist with the steering wheel buttons. It should always be this easy, but it isn’t. Also, when the infotainment display’s showing music data, the navigation system provides one line of text, unobtrusively, across the top of the screen: it lets you know the next upcoming cross street, well before the street sign is within view. Super convenient. Brilliant, really. Due to a stroke of scheduling luck, I had the Miata for an extra weekend. It wasn’t until the last full day with the car that my husband actually came along for a ride, which provided some valuable insight. One: The passenger seat is tight for anybody who's 6-feet tall. Two: With passenger seat occupied, I had no place to put my bag except in the trunk. I briefly considered taking out my wallet just in case I got pulled over, but there isn’t anyplace inside the cabin to stow it, either. The space issue is just inconvenient enough to quell some (though certainly not all) of my longing for this car. At least it settles the issue, once and for all, of whether the Miata is a “chick’s car”—what kind of “chick car” would make a woman store her bag out of reach?